Ministers announce new legislation regulating the medical tourism industry, in which Israel hopes to become a global leader. The two said they intend to propose legislation to regulate the growing area. 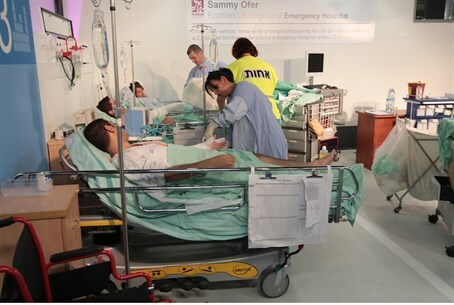 Among the tasks needed in order to implement the plan, said Litzman, was an improvement in the efficiency of hospitals, in order to ensure top service to visitors. In addition, the legislation would regulate companies involved in organizing trips to Israel for foreign patients, in order to ensure that the patients get what they pay for. And in addition, the laws would ensure that Israelis get priority for procedures, and are not “crowded out” by visitors. According to Levin, the medical tourism business is a lucrative one for Israel, and brings in a great deal of foreign currency. Israeli doctors, he said, have a sterling reputation around the world, and the relatively low cost of medical and dental care in Israel attracts patients from many countries. Medical tourism is a multi-billion dollar business, with Israel attracting about 30,000 patients annually. One of the biggest players in the industry is Jordan, which attracts some 250,000 patients a year, accompanied by 500,000 companions. Amman is home to the King Hussein Cancer Center, considered one of the top cancer care facilities in the world.